From agonizing over the lot of my Chinese fellow men, I fell into a state of hysterical disgust with hardly a pause. “WHY do they all have to spit so much?” I cried. “You can’t put your foot down without stepping on a big slimy glob! And everything stinks of sweat and good old night-soil!” The answer of course could be that spitting was due to endemic tuberculosis, and as for the stink, I had seen where and how the people lived. I knew I was being contemptible. At some point during our first conversation I managed to irk him by suggesting that he was chiefly known “for doing nothing.” In fact, he pointed out, keeping the British political busy-bodies from interfering in Hong Kong’s economic affairs took up a large portion of his time. Today, Hong Kong is one of the most prosperous places on earth. While it has its share of problems—not least the Chinese government’s recent crackdown on freedom of speech—Hong Kong’s success has been astonishing. In 1950, an average citizen of the city earned 35 percent as much as an average citizen of Hong Kong’s colonial master, Great Britain. 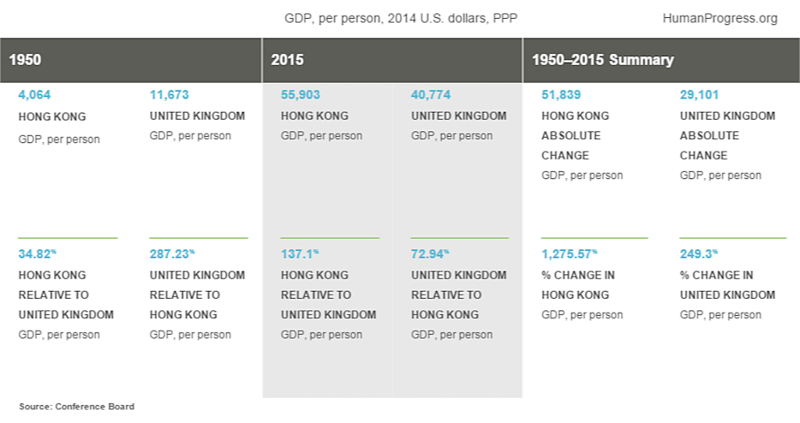 In 2015, an average citizen of Hong Kong earned 37 percent more than a typical Briton. 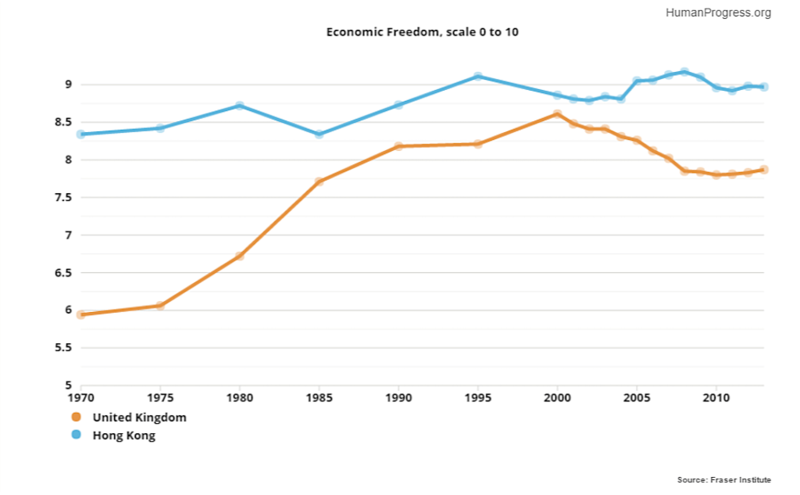 The poverty that Gellhorn bemoaned is gone—thanks to economic freedom and peace. 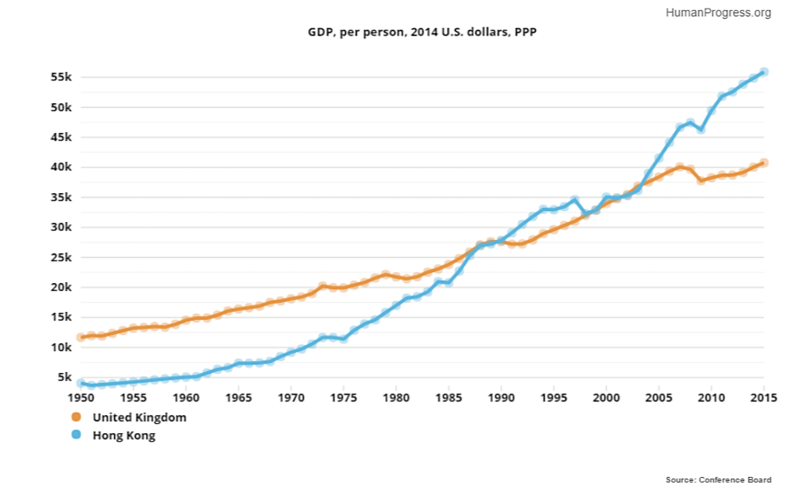 — Hong Kong and the Power of Economic Freedom originally appeared at Human Progress.